The bipartisan US Commission on Civil Rights delivered an unblinking assessment of the state of minority voting rights last week: things are bad, and likely to get worse. The facts are both grim and well established: since the 2013 Supreme Court decision in Shelby County v. Eric Holder, many states have passed legislation that makes it harder to vote — especially for the most vulnerable citizens. But these facts take on new meaning as America heads into potentially transformative midterm elections. Advocacy groups have long argued as much over the past five years — filing lawsuits, publishing reports, and writing amicus briefs in case after case. The report from the federal commission, founded in 1957 to investigate and report on civil rights issues nationwide, confirms what many have worked to prove and fight against: that the internal threats to democratic elections are numerous, and growing. Drawing from statistical evidence, the report outlines the collection of inequities in the United States electoral system from 2006 to the present. Many, the authors argue, stem from the repeal of Sections 4(b) and 5 of the Voting Rights Act (VRA) in the Shelby decision. That court opinion overturned the “preclearance” requirement of the Voting Rights Act. No longer do states with a history of voter suppression have to win approval from the Department of Justice (DOJ) to change any of their voting laws. From voter identification requirements to voter purges to last-minute polling site closures, the changes have been rapid and decisive. 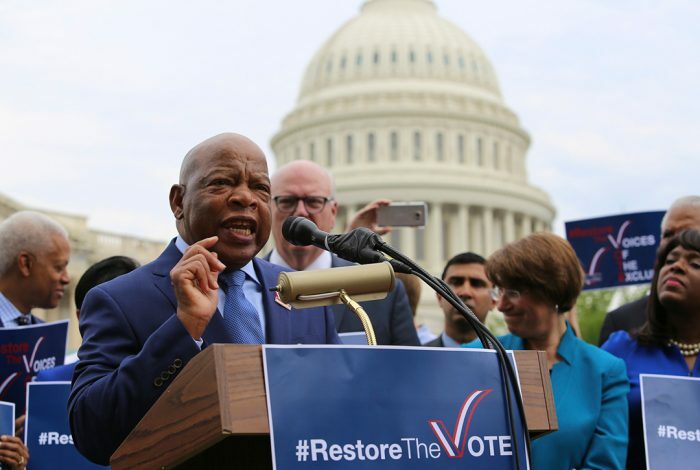 Congress last reauthorized the Voting Rights Act in 2006, amid much discussion over whether discrimination remained significant enough to warrant federal oversight. That question informed the Shelby decision in 2013, when the Roberts court decided that the states were responsible enough to manage elections in a non-discriminatory manner. The data in the report suggest that the court’s confidence in the states with a history of discrimination was sorely misplaced. Thanks to less involvement in voting rights issues from the DOJ, coupled with a marked uptick in discriminatory practices at the ballot box, voters currently face a barrage of obstacles. Certain trends stand out: the increase in so-called voter ID laws, voter registration restrictions (enabled by faulty systems like Crosscheck), cuts to early voting, and accessibility issues at polling sites. 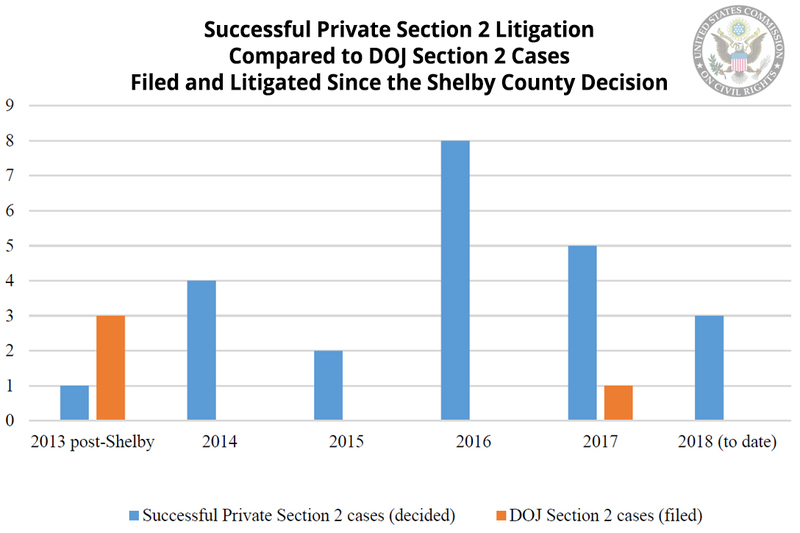 Since the decision in Shelby County, the number of lawsuits filed by private individuals concerning violations of their voting rights has quadrupled, while DOJ itself has filed fewer and fewer cases related to the VRA. The burden of responsibility falls to civil society and independent advocates — despite the complexity and cost of litigating voting-discrimination cases. In the current system, challenges materialize only after voters and advocates have sufficient evidence of discriminatory intent. In many states, voters now elect legislators under the weight of a slew of restrictive laws, making it harder to elect representatives likely to advocate for fair elections. Nevertheless, the report argues that the most effective remedy for the core problem — unequal access to elections, which systematically disenfranchises thousands of eligible voters — would be to amend the VRA to restore and expand protections against discrimination. Whether such a plan can go forward depends in large part on the outcome of the upcoming midterm elections. But as the Commission outlines, the deck is stacked in favor of those who oppose such reform. Related front page panorama photo credit: Adapted by WhoWhatWhy from seal (USCCR) and Map (USCCR – PDF).